If your wooden brake tension knob is loose, hard to turn, or will not remain where you have set it, it is easy to fix. 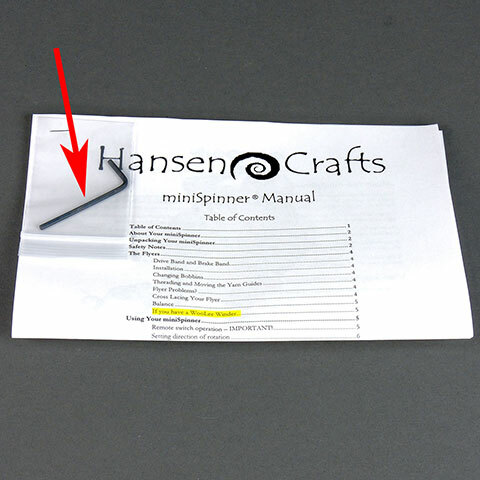 First, find your instructions and remove the Allen (hex) wrench from the plastic envelope attached to them. Next, place your miniSpinner on its side and note the hole beneath the wooden brake tension knob. Insert the long end of the Allen wrench into the hole and engage the Allen screw within. Tighten the screw to make the brake knob more resistant to turning, or loosen it to make it easier to turn the brake tension knob. 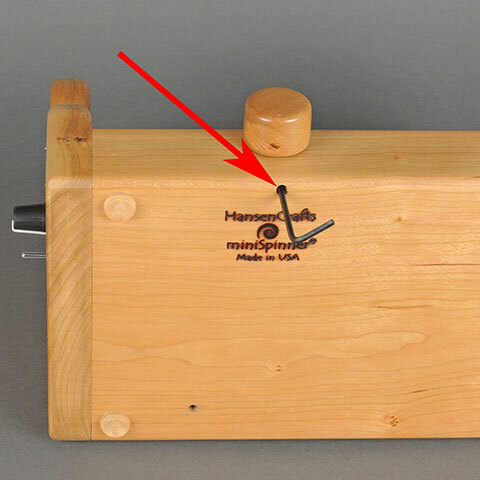 It is correctly adjusted when the knob is easy to turn but will remain where you set it.